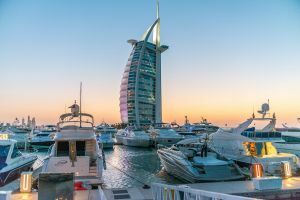 Dubai is a city of lavish lifestyle, yet holding the unique charm of ethnicity. Super luxury hotels, shopping malls, amusement options and a lot more makes this city hot favorite spot among the tourists. Either for a long holiday or short holiday vacation Dubai is perfect destination to explore. You will be welcomed by our representative at the Dubai International airport, who will assist you to transfer to hotel and check in. 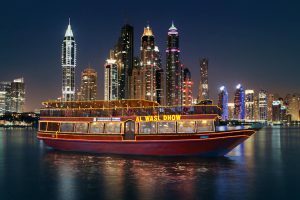 After having your morning breakfast proceeds for the Dubai city Tour and sightseeing. You will visit Jumeirah Mosque, Jumeirah Public Beach, Burg Al Arab (most luxurious and lallest hotel in world). Late afternoon proceeds for the evening safari and Dow Cruise. The program also includes belly dance program. Morning after your breakfast proceeds to visit Burj Khalifa. 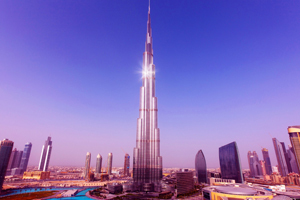 Burj Khalifa is the tallest structure in the world. Today you will visit the super giant structure. Later proceeds for the desert safari at sand dunes of Dubai. The safari of Arabian Desert will win your heart. Enjoy your delicious dinner with Belly Dance, which will make you feel like an Arabian King.